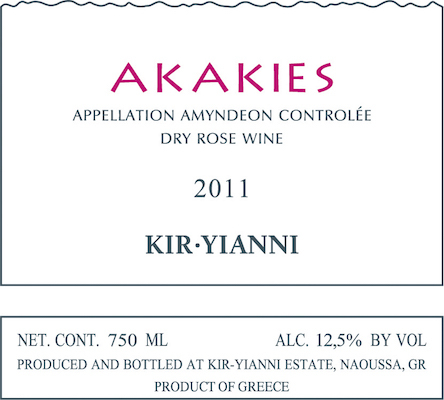 A great example of the beauty of rosé wines coming from premium wine producing zone of Amynteo. Xinomavro takes all the refreshing acidity and richness of aromas of wild fruits and tomatoes, to give one of the very favorite Greek rosé. A suspicion of tannins helps you to accompany light dishes with meat and sauce. It can be enjoyed alone as an aperitif or matched perfectly with roasted chicken, dishes based on salmon or tuna and vegetarian dishes of the mediterranean or asian cuisine.